The Canadian Real Estate Association’s restrictions on what housing data can and can’t be made public have been upheld by Canada’s Competition Tribunal. The ruling made on Friday said that the association’s rules are not unfair and do not break the competition rules. The case had been brought by the Competition Bureau which has been calling for the restrictions to be dropped saying that they restrict consumer choice and promote the commission-based structure of real estate agents. The federal Finance Department has looked back to the 1980s as it predicts the future for Alberta’s housing market. The analysis of market conditions now compared with the sharp downturn of the 1980s and reports that there are some similarities including economic uncertainty and lower oil prices. However the conclusion was that some of the key issues of thirty years ago are not the same as now; non-recourse mortgages where those who suffered foreclosures could walk away from the debt; and high interest rates. The report did state that Alberta’s exposure to the oil sector means that it could not be completely isolated from a fall in the price of crude. House price increases in Florida and the weak loonie mean that Canadian snowbirds are cashing in their investments. Those who bought when prices were in a slump and the US dollar was weaker are viewing now as the ideal time to sell. Simon Plump, head of Currencies Direct exchange told the Orlando Sentinel that he is seeing a “big shift” in Canadians selling their vacation homes and realtors in the area are reporting a similar trend. Developers are planning to help ease the affordable housing issue and vacancy rates by repurposing shipping containers as home across Canada. 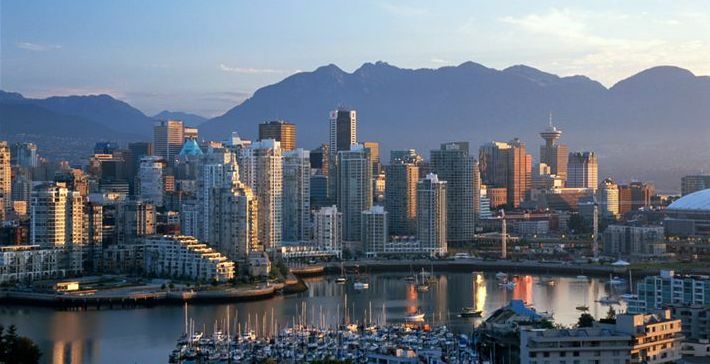 A pilot project in Vancouver’s East Side has been expanded and similar schemes are now expected in other communities in BC along with Alberta and Nunavut. Janice Abbott, the CEO of social housing agency Atira Property Management told CityNews.ca that it was like “building with Lego blocks”. The containers are fitted with plumbing and electricity and can be fused together to make multi-room suites.